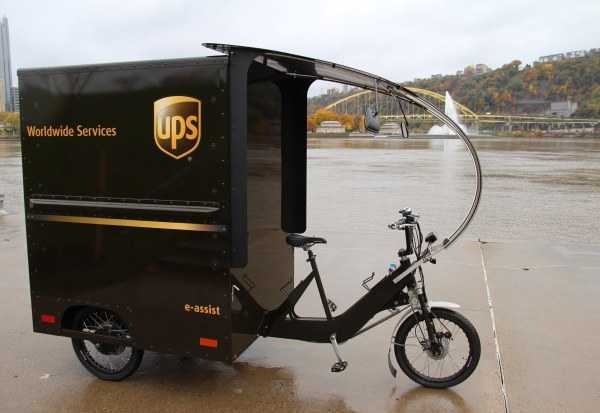 Thanks to UPS’s revolutionary, zero-emissions eBike, parcel delivery in urban environments like downtown Pittsburgh is going to get a whole lot greener. 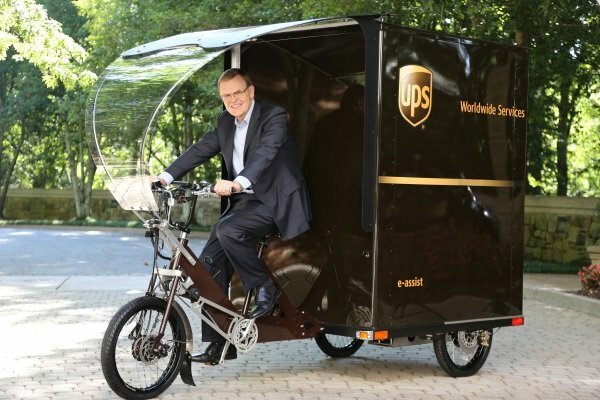 UPS’s Cycle Solutions and the company’s Rolling Laboratory have been testing a range of advanced technology vehicles of late. Powered by alternative fuels and in some cases at the driver’s discretion, no fuel at all, these electrically-assisted eBikes are designed to reduce carbon emissions first and foremost. Along with that, however, come benefits in the form of reduced traffic congestion, less noise, and improved air quality. 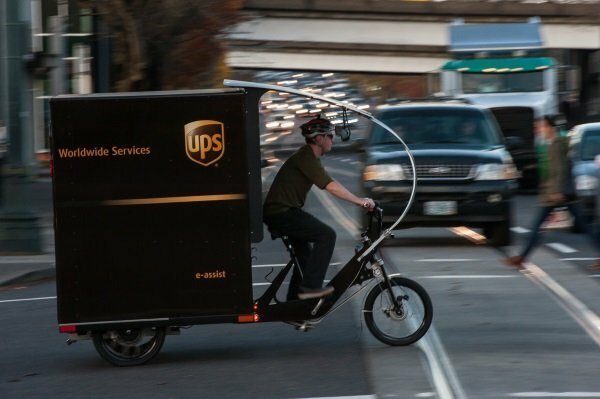 Expect to see some of these innovative three-wheeled eBikes if you live and/or work in Pittsburgh, PA. The eBike route is planned to follow existing paved routes in and around downtown Pittsburgh. 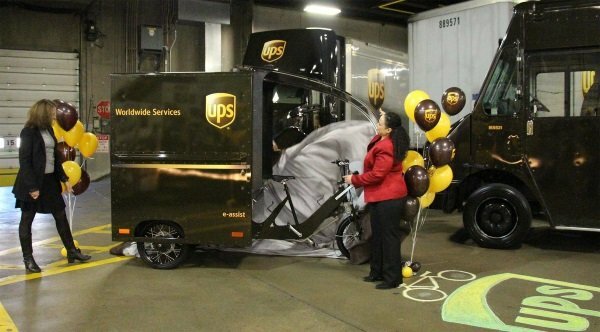 On November 8th, 2017, Karina Ricks, mobility and infrastructure director for the City of Pittsburgh and Grant Ervin, chief resilience officer with UPS joined city residents at the Beaver Avenue UPS customer center to introduce the eBike. 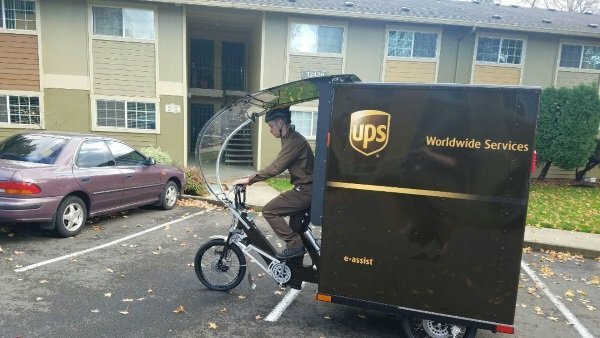 Decked out in familiar UPS brown & gold livery, the eBike can hold up to 20 average-sized packages and travel at speeds up to 18 mph.